Perhaps you have a child who will be attending college within the next five years—or maybe you just had a baby and the thought of college hasn't even entered your mind. Whether writing that big check is around the corner or in the distant future, the rising costs of college and levels of student loan debt are enough to make even the most financially sound people feel a little nervous. For many people, college is the next logical step after high school. 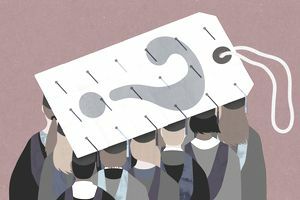 But the ever-increasing costs of college has made higher education prohibitive for far too many people, particularly given the fact that there is no guarantee of a job after graduation. In fact, according to the Federal Reserve Bank of New York, 44 percent of recent college graduates are underemployed—working in jobs that don't require their degree—as of 2012. It might be helpful to think about college as you would think about your investments. For example, as you are constructing an investment portfolio, one of the key questions that will likely help shape your decision is “what will be my return on investment?” While there is no guarantee of any investment's return, you will be more likely to select an investment or investments that you expect to have a larger degree of growth and success than others. When you are looking at colleges, it's also very helpful to consider the potential return on investment. The college return on investment is more than being on a beautiful campus where majestic trees line the walkways or where your favored fraternity or sorority is active. The real college return on investment comes down to things such as how well a school sets up their alumni for success in the job market, the majors that are offered, and the earnings potential within those fields. Payscale.com has recently come out with its latest College ROI Report. The searchable database ranks about 1350 U.S. colleges based on the 20-year return on investment students can expect to earn. That ROI is defined as the difference between 20 years of median pay for a bachelors graduate as compared to a high school graduate, minus the total four-year cost of attending the college. It will come as no surprise that tech-centric schools top the list, with the California Institute of Technology leading the way. Cal Tech grads can expect a 20-year ROI of $973,000.